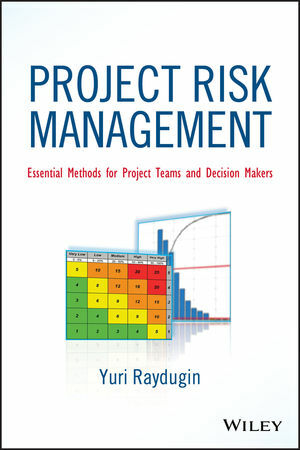 Drawing from the author's work with several major and mega capital projects for Royal Dutch Shell, TransCanada Pipelines, TransAlta, Access Pipeline, MEG Energy, and SNC-Lavalin, Project Risk Management: Essential Methods for Project Teams and Decision Makers reveals how to implement a consistent application of risk methods, including probabilistic methods. It is based on proven training materials, models, and tools developed by the author to make risk management plans accessible and easily implemented. Risk Management has been identified as one of the nine content areas for Project Management Professional (PMP®) certification. Yet, it remains an area that can get bogged down in the real world of project management. Practical and clearly written, Project Risk Management: Essential Methods for Project Teams and Decision Makers equips project managers and decision makers with a practical understanding of the basics of risk management as they apply to project management. Dr. YURI RAYDUGIN is an experienced risk management professional who has developed and implemented successful risk systems for several major energy companies, including Royal Dutch Shell, SNC-Lavalin, and TransCanada Pipelines. He provides risk management coaching and training as well as risk assessment services and has published white papers and articles for a number of journals, including the International Journal of Risk and Contingency Management.